Something of a milestone in the writing this week, the first draft of Elite Dangerous Premonition has hit the 100k mark against an approximate target of 140k. Now some folks will point out, quite rightly, that word count isn’t everything. The old writing cliché – “Don’t worry about word count, worry whether your words count” may apply. Is the story working, is the plot sound, are the characters appropriately differentiated? All good questions. I’ll let my previous track record in writing speak to those points, I don’t intend to disappoint my readers. You can assume that is all in good shape, though there’s plenty of work left to do. I use word count as a progress indicator because it’s straightforward and easily accessible. It works for me. Sometimes an author has the luxury of putting out a book ‘when it’s ready’, but often I see that as an excuse for ‘late’ or ‘never’. I find I work best under pressure, so I set myself word count targets and track progress against them. So far so good. On balance, I think it’s coming together well. I don’t encounter ‘writers block’ myself (I put that down to good planning), so I’ve been able to continue on at pace. I’ve been capturing player events as they occur and usually get to write those up a week or so after the event. My biggest concern at present is two fold. The first is the character arcs. There are quite a few in Premonition by necessity and I need to ensure they all make sense and have a purpose. This isn’t currently the case in many places. It’s an editing job, but a big one. The second is ensuring I wrap up certain threads in-game and from my previous book in a satisfying way. 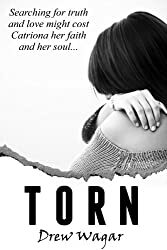 I’ve made a bit of a ‘rod for my own back’ on this one, because I weave in multiple meanings and layers and like to leave readers with a few unanswered questions. The trick is finding a balance between how much to reveal directly, how much to leave for readers to infer and how much to leave unanswered. I will say, however, that this has been a much tougher assignment than my previous Elite Dangerous book ‘Reclamation’. That felt, at the time, quite ambitious, but it’s child’s play compared to the task of ensuring that ‘Premonition’ works well. 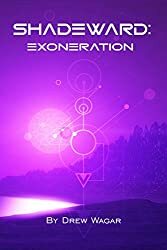 Premonition is not only a book, it’s part chronicle, part lore repository… but it has to excel at all three without compromise. Polishing this up to a real shine is going to be a hard job. Taking time to join in twitch streams and podcasts, partly to promote the book, but mostly to stay in touch with the player base. Maintaining an occasional presence on the forums etc. Fortunately, being a ‘planner’, I’d worked out what this was going to look like before I started so I was ready for it, but it’s not been easy and, truth be told, I’m quite looking forward to it coming to a close. I’m not scared of hard work, but constant 60+ hour working weeks do take a toll. It has been a tough assignment, quite draining and stressful at times – and not just for me. My family deserves a huge vote of thanks for accommodating me whilst doing this, as do the all the fans who’ve cheered me on. A point is approaching where the book must end. I expect the first draft to be complete at the end of March. This will be the end of ‘Premonition’ – a title which was chosen with great care to reflect the mood of ‘what happens next’. Beyond this point the story of Elite Dangerous will obviously continue, as to whether that gets chronicled or not, we’ll have to wait and see. 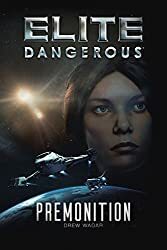 Feedback on how well ‘Premonition’ is received and the approach I took in creating it will doubtless have a bearing on how Frontier approaches such projects in the future. For now though, I continue to write on, Commanders! Thanks for all you do Drew. Can’t wait to see how it’ll turn out. 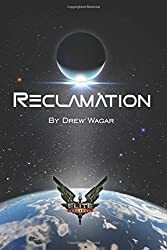 After reading Reclamation I’ve read my way through your Oolite and Shadeward stuff and loved it all. You have a great way of telling a complex and exciting tales with engaging characters, while keeping a rapid page turning pace. Talent’s I’m sure will help you nail this one too. Thanks for the insight Drew. I can’t wait for it to be out and how events unfold in game. The concept is great but now I can see the additional headaches that creates but I’ve every confidence that if anyone can do it, you can. Thanks Drew, I speak for one of those player groups who’s been riveted and follow the ingame events and are looking forward to seeing the book when it comes out. It’s been a great ride and it’s fun seeing everyone motivated to a) follow the threads and b) hope for the prize of finding something worthy of being chronicled. So even knowing the work is out there is affecting and driving gameplay. Of course, a massive thanks to the support of your wonderful family on behalf of the players, because without their support we wouldn’t have such a talented chronicler and weaver of tales on the task. Thanks for the hard work! I’m really looking forward to reading this. 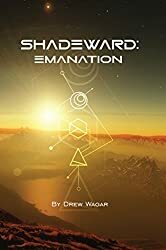 You’ve mentioned about covering player driven events in Premonition, and have previously mentioned TIIQ – so will you be exploring the recent “Brestla Shadow Operation” (BSO), where Empire loyalist players deposed the Imperial Inquisition (TIIQ) from their Home System, apparently as a punishment for them threatening to break away from the Empire, and bad-mouthing the Emperor. This seems like some of the more interesting player vs player clan warfare in recent ED memory and it would be very cool to see this covered. It really caused a buzz in the community, and held the top spot on the ED subreddit right up until the alien interdictions started recently. Very interested to hear your thoughts on the BSO, particularly as I know you’ve lately featured on TIIQ’s Twitch stream. Will you be writing them “warts and all”, or should we expect an “authorised” interpretation based on their own spin on events?